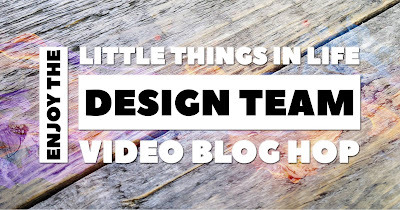 Thank you for joining us for our July Enjoy the Little Things in Life Design Team Video Blog Hop. There are some really fun themes coming up, so make sure you join us each month. This month, we have made invitation themed projects & thought this was really fun & outside the box! I've stamped the little bear in Chocolate Chip ink & the little bee hive & bees in Crushed Curry, then I've die cut them with the matching framelits on my Big Shot. I've stamped both sides of the bee hive. I've also used the Starburst Punch for the circle to put my invite details on. I've used the Crushed Curry & Marina Mist Stampin' Write Marker to colour in the little bee on the bear & write details on the back. The whole lot is tied together with some Linen Thread & Gold Metallic Thread. Here's a little video of how I put them together. I hope you have enjoyed the little tag invites I made for this hop. We have an amazing team this month, so make sure you hop around & check out everyone's projects. You don't want to miss any! Remember to use my July Hostess Code ENEZTXTD at the bottom of your Shopping Cart & get a handmade card & a gift from me at the end of the month! Please note, you must reside in Australia to order from me. Bonus Days are back! For every $90 you spend in July (before shipping and handling), you’ll get a $9 Bonus Days coupon that you can redeem during August! Stamp Set of the Month - I love the Oh So Eclectic Bundle & I want to share it with you! Purchase the Bundle & receive a FREE PDF for 6 cards!